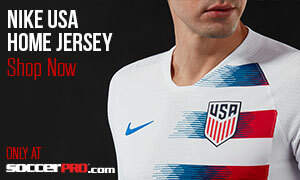 Ah, my USMNT fix. Much needed, I was starting to get itchy. I sold most of my house’s appliances in exchange for old USMNT highlight tapes. I have a problem. I’m sorry mom. I don’t know what happened to me. Anyway, here are some general thoughts on the USMNT January camp, which has often unearthed some gems but has also sometimes showcased players who disappear from the scene. Speaking of which…recently, January camps have produced World Cup starter Graham Zusi. 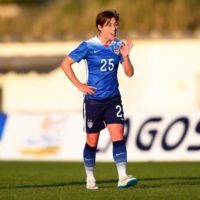 Fellow World Cup mainstay Matt Besler earned his first start in January 2013, although he was an unused sub in a friendly against Mexico a few months before. But there have also been some duds who seemed prime to be contending for spots for a long time but ultimately proved duds. To stick with the Sporting KC theme, both CJ Sapong and Teal Bunbury emerged in January camps, and both have flamed out. Bunbury has recently had a bit of a resurgence in New England, although he likely will face an uphill battle to get back into the squad. These are just a few examples that are a bit more relevant because of our proximity to Sporting KC; there have been other breakouts and duds from January rosters. It’s also important to note that Jurgen and Bob Bradley before him have used the camp to call up younger and lesser known players because a majority of the first-choice roster were based overseas and were thus in the middle of their season. But with almost all of the international stars now located in MLS, the camp may see less youngsters, which is unfortunate. So, caveats aside, what players have the potential to stick around? There are a few that we saw. Lee Nguyen, who had a wonderful season with New England, got limited minutes but should get more looks by Jurgen. He can play as an attacking midfielder, a position that the US doesn’t have a lot of depth at; Jurgen tried Michael Bradley there at the World Cup, where he struggled because he was both well out of the position he was so strong at and because he was nursing an injury. Dempsey has started playing there, which is smart. But he also doesn’t work that hard to my estimation, which has always been a criticism of mine for the Seattle striker. So Lee has a lot of potential. He is 28, which is a bit late to start making waves on the international scene, but Nguyen will take comfort in knowing that Kyle Beckerman didn’t really start playing significant minutes until he was 28. Gyasi Zardes is another name, a winger and striker who had a stellar season with the L.A. Galaxy, scoring 19 in 35 games across all competitions, and is just 23. He had a solid shift against Panama the other night, and he could really compete for a spot in this summer’s Gold Cup, assuming his development and work ethic continue. He’s quick, skillful and a proven goalscorer. Klinsmann played him on the wing, which is likely where his future will lie given Altidore and Aron Johannsson are ahead of him in the pecking order, at least on the surface. But he’ll be hard to cut out. There’s also young Miguel Ibarra. The speedster plays for Minnesota United in the NASL, where he was selected as the league’s MVP last season. He’s primarily a winger, so he’ll add depth at that position along with Zardes and DeAndre Yedlin. 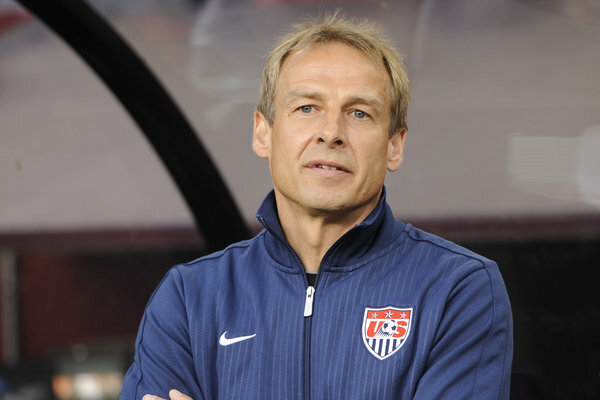 It’s an interesting choice by Jurgen to call him up given his status stateside and in a weaker American league. That’s not to say players in that league don’t deserve looks, but Jurgen has been critical of American-based players because of MLS’ weakness. But he is a solid player and has potential. Don’t be surprised if he heads to greener pastures soon enough. Of course, there are other young players who were called into camp. 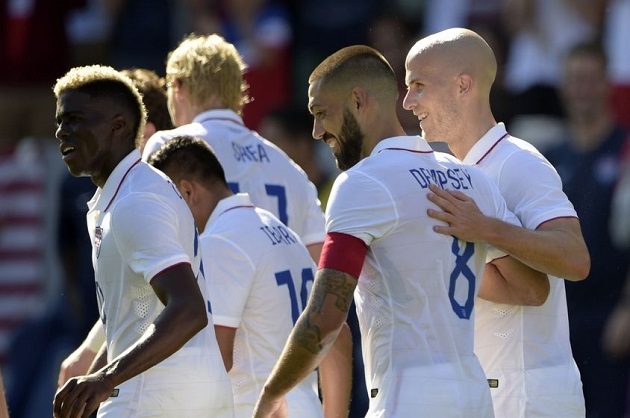 Perry Kitchen has long been doted upon and got his first cap for the USMNT against Panama. Wil Trapp also got a nod. Kansas City native Jon Kempin was in camp but didn’t play; he’s far down the pecking order; at the moment he appears to be behind Guzan, Rimando and Sean Johnson, and that’s obviously not factoring Timmy Howard. He’s young, and goalkeepers have longer lifespans than outfield players. Here’s hoping he keeps progressing. We saw Jurgen try a 3-5-2 against Chile, which was an interesting choice given Chile’s recent resurgence. Granted, they were playing a much depleted lineup, but still. It showed Jurgen trying to explore alternative tactical formations to his preferred 4-2-3-1 and triple pivot 4-4-1-1/4-4-2. The 3-5-2 is a trendy tactic lately, notably with Juventus, Van Gaal’s Netherlands and occasionally Manchester United. It requires discipline from the entire team, but particularly the two wingers. 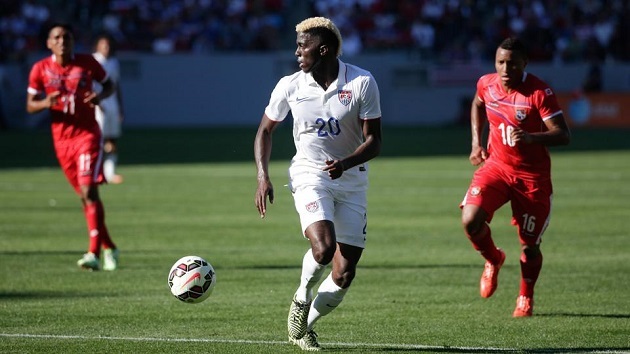 In the Chile game, that was Brek Shea, who has operated in a winger, and fullback-turned-winger DeAndre Yedlin. Jurgen has a fondness for turning attackers into fullbacks, notably with Demarcus Beasley and Fabian Johnson, although the latter’s transformation may have started for his German club. Still, he supports such a transformation, and given that Shea will likely struggle to get minutes in midfield and Jurgen is in need of a left back, there’s potential there for him to get some minutes. Jurgen also put Bradley back into his preferred and dominant position of defensive midfield, and he was untouchable against Panama. 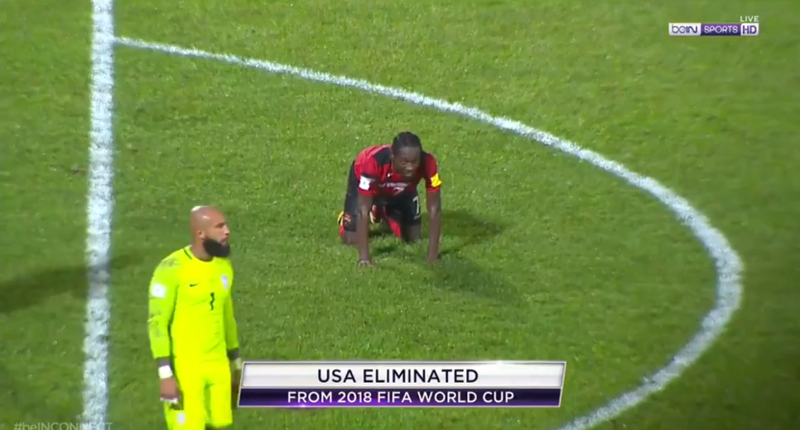 I understand, sort of, what Klinsmann was doing putting him at the tip of the diamond at the World Cup, but it also put Bradley out of his comfort zone at an inopportune time. Bradley was also without favorite target Altidore, which contributed, and Beckerman was great in the World Cup. But still, Bradley was handicapped. Mix Diskerud was dropped in with Bradley, solid move by Jurgen. Mix can’t really play at attacking mid, especially given that Clint looks set to lock that position down, but with Jones pushed back into defense and Beckerman likely done internationally, it makes sense. It suits his skill set, but he’ll need to continue to progress to claim the spot. Oh Jozy. You get your own subhead. Altidore needed a move away from England, and I suppose ending up in Toronto wasn’t the worst thing in the world. He’ll get to play with Bradley, who loves to play with Altidore because the young American is a perfect target for Bradley’s pinpoint balls over the top. The two connect and create opportunities a few times a game, and when Bradley is in form, the ball falls perfectly to Altidore’s feet. But, as Taylor Twellman astutely pointed out during the Panama game, Altidore needs to do more than be big and hold up the ball. Eventually, he needs to start burying chances. He offers something different than Johannsson, which is probably the only reason he continues to be Jurgen’s first choice striker. But he needs to score or create, and soon. Jurgen has showed faith in Altidore for a while, and at times he’s really earned it; he went on a tear for the US summer before last and was solid against Ghana in the few minutes he got before he pulled up. We’ll never know, but I suspect he would’ve had a strong World Cup and would’ve been invaluable to the USMNT against Belgium given his role as a quick and dangerous release valve. But he needs to rediscover that form. Our German continues to spar with MLS and the American media. For instance: soccer writer @thegoalkeeper’s tweet, “Something tells me (Dean Smith) would have a word or two for Jurgen Klinsmann.” That’s a preposterous tweet, one that questions Jonathan Tannenworld (the journalist’s) ability to objectively cover the USMNT. I understand frustration with Jurgen, but it’s difficult to deny he has changed our culture. He got us out of the Group of Death and got wins against Italy and Germany. I don’t care that the latter was depleted; a win is a win. Sometimes he isn’t as delicate as he could be, but he is tasked with bringing our footballing culture to a level on par with international powers. MLS is growing, but the competition just isn’t as good as leagues in Europe. The performance of Beckerman and Yedlin would suggest that sometimes that doesn’t matter, but that doesn’t mean we can stick with the big dogs. Athleticism isn’t enough. 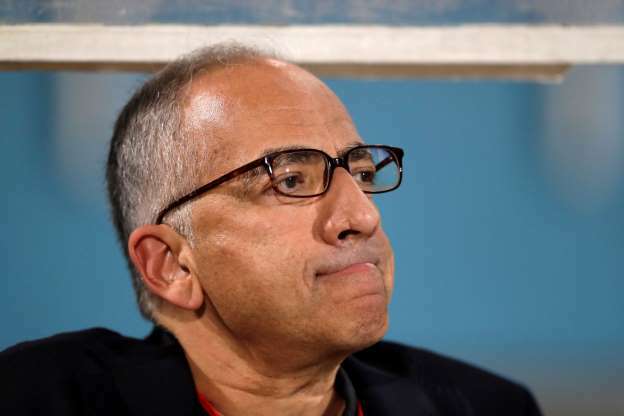 His lack of tact in criticizing the league is matched, maybe dwarfed, by Don Garber’s response. The media often does excessively hate on Jurgen sometimes. He welcomes it sometimes, and criticism is usually not a bad thing. But let’s continue to look at the longterm, at what he is trying to say. I’m a Jurgen fan, so I’m biased here. But he’s our guy. Jumping on the hate bandwagon as Tannenworld did serves nothing. Criticize away, friends. Just try and keep perspective and mind, and please try to avoid taking totally unnecessary cheap shots. The USMNT wants to grow. Top 16 finishes aren’t good enough anymore, as I wrote after our loss to Belgium. Some people want to celebrate escaping the group, and I think that’s fine. I mean, I listed it as an achievement two grafs up. But it won’t be good enough forever, and doing what we’ve always done won’t advance us. If we can criticize Jurgen, can’t he criticize the league and the status quo? I agree that he should be more delicate, but he has a job to do. If he pulls it off, I’m totally cool with him rattling cages. But if he fails, he will continue to leave the door open for widespread criticism, and he’ll likely deserve it.